These 5 simple spring decorating ideas will have your home ready for springtime! 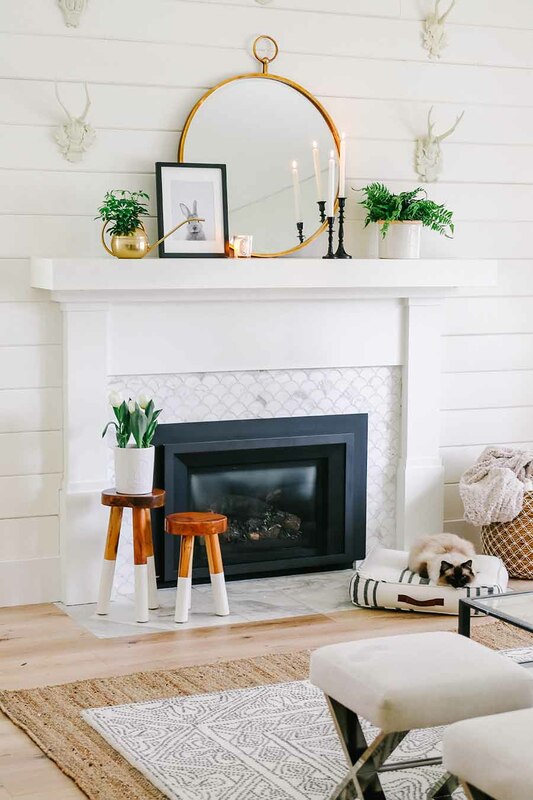 Updating your home for spring is a great way to freshen up your space for the season with just a few minutes of time and little to no money spent! I am also joining Marty from A Stroll Thru Life and 30 bloggers to share our spring decorating ideas! If you came over from Life on Cedar Lane thank you for coming by! Doesn’t Andrea have the most beautiful home? I just adore her decorating style. If you are new here, welcome! I am Ashley, wife and mom to two young kids. We live in the suburbs of San Francisco and we have been updating our California ranch since we moved in 9 years ago. My husband is a contractor – follow along as we tackle our home renovation one project at a time! We recently updated our hardwood floors in our home and this has led to some serious spring cleaning! Since we had to take out everything in all of the rooms of our home (except the bathrooms), I did a little Marie Kondo-ing along the way. I made sure that every item that I brought back into our home “sparked joy”. But also, this allowed me to do a few spring decor updates. 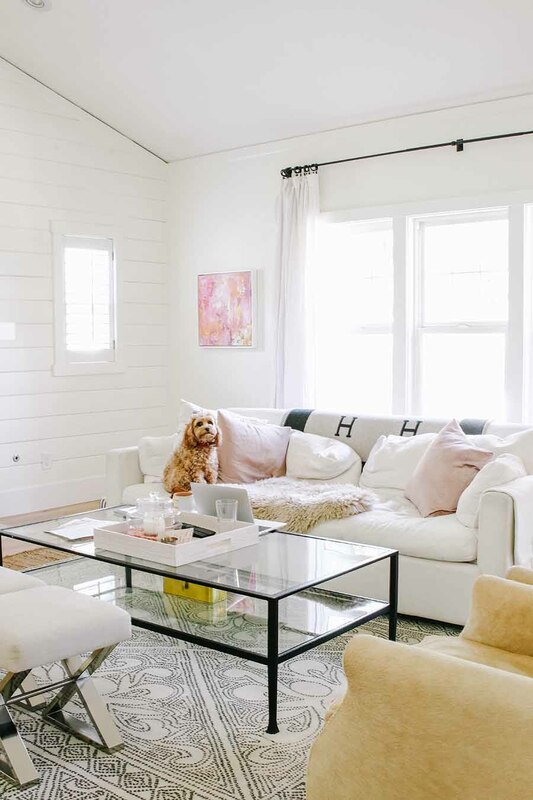 Follow along as I show you the 5 simple ways I updated my home for spring! 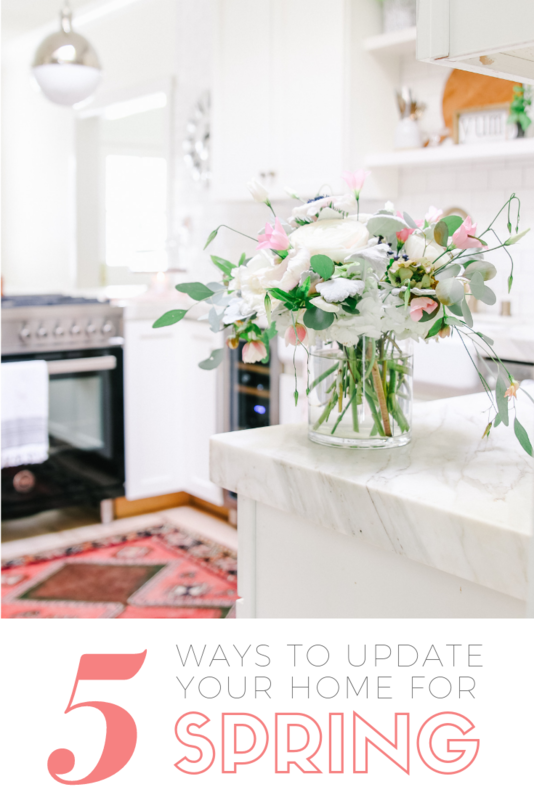 Here are my favorite ways to update your decor for spring. Simple ideas that don’t cost a lot of money – if any! I hope you gather some inspiration and maybe this sparks some creative ways you can add a little spring to your home! Before you can start to update your home for spring, you need to clean and declutter. Spring is all about a fresh and clean start. We’ve all been there. Items can end up in places where they don’t belong and clutter can creep in over the months. That’s why spring is all about a good deep cleaning! Go through each room in your home and do a once over declutter haul. Put away items that have been left out and if something doesn’t have a home, find one for it! One of the rooms that I feel gets the most cluttered for us is our kitchen. 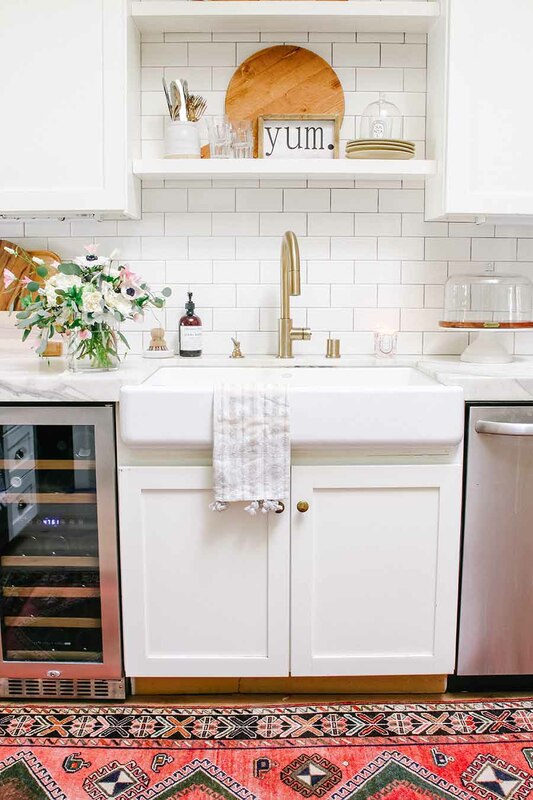 Here are a few tips for staying on top of the clutter in your kitchen that I have learned over the years. Once a week, clear off all the counters. Find a place for all bills, school projects or other “temporary” paperwork. These are things that you need to have on hand to take care of in the next month or so. We have a basket for bills that lives in our laundry room (because we don’t have an office). And school paperwork and assignments go inside a cupboard in our kitchen. Keep your sink clear of dishes. Put dishes in your dishwasher after every meal. You will be surprised by what this simple task does to the overall feel for an organized home! 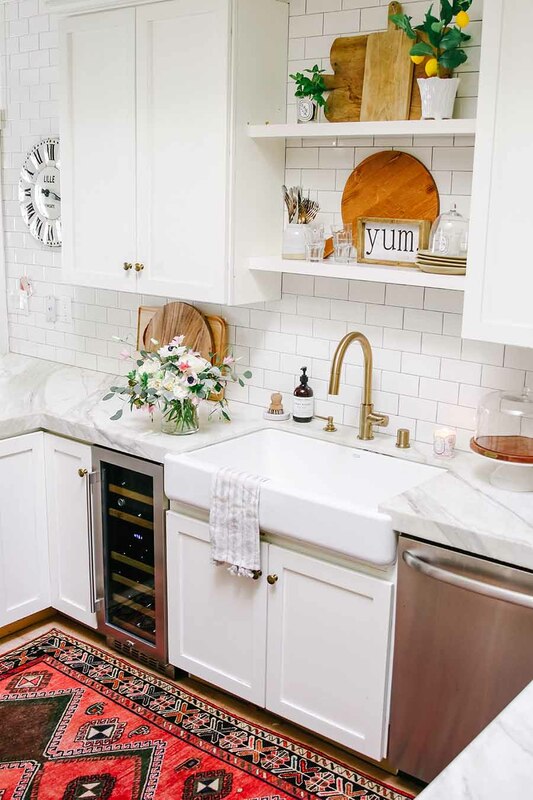 Find a cupboard or drawer for any items that tend to “hang out” on the counter. For us, these are our vitamins and medications. Having them in the kitchen makes it so we are reminded to take them everyday, but they are stored in a cabinet to reduce countertop clutter. Ok, now that you have done a quick decluttering for your rooms, it’s time to update your decor for spring! And nothing says spring more than fresh flowers and greenery. To see the full post detailing this Spring mantel, click HERE. I admittedly have a serious black thumb when it comes to indoor plants. I can barely keep my family and all our pets fed, let alone a finicky indoor plant. And I have managed to kill three fiddle leaf fig plants! But, I have found a few plant varieties that are willing to put up with my tendency to neglect them. I also have a large amount of amazing looking faux plants. Most of the plants in my pictures are faux. And I have linked my favorites below for you. Here is a before image of what my living room looked like before I decluttered and updated my pillows for spring. It took only 10 minutes and $0 to make a few small changes that have a huge impact on the overall feel in this room! An easy spring decorating idea is to update your pillows and blankets. First, take everything off your sofa and chairs. Start with a blank slate. This is also a great time to wash your cushion covers if you have a slipcovered sofa. Next, bring in a few new options. These don’t have to be new purchases, just something that wasn’t there before. I shopped my house to update my pillows for spring. Everything I had was either in a different room or stored away. To save room, I try to only buy pillow covers rather than full pillows with inserts. This really saves so much space when storing out of season pillows! And my biggest tip is to invest in good quality down-filled pillow inserts. These make your space so much more comfortable and cozy. Now, as you are putting away your old pillows consider if you want to use them again. If you are tired of them or if they have seen better days, place them in your donate pile. I love to ask my friends and family if they want any of the items in my giveaway pile. Most of the time I have more than a few volunteers that would love to have my gently-used decor items! When updating your decor for spring, it’s a great time to reassess what you have out and put things away or find new homes for extra items. I removed all the extra clutter, paperwork and miscellaneous items on my coffee table and the space feels so much more organized! 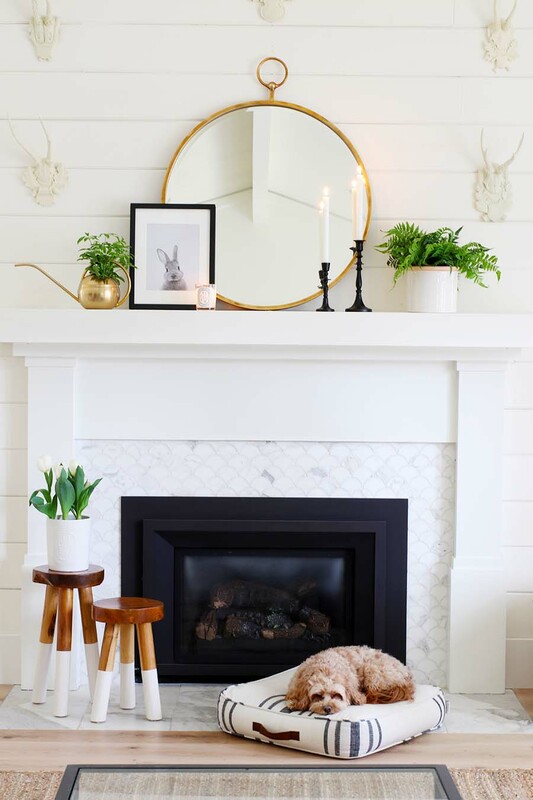 Another great spring decorating idea is to add some mirrors to your space. Mirrors are a great way to make your home feel lighter and brighter and they are inexpensive. 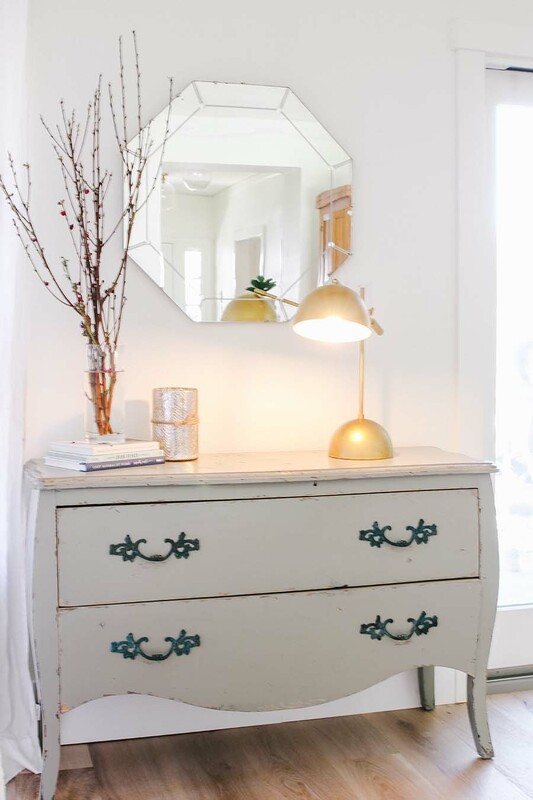 Some of my favorite mirrors have been found at garage sales and thrift shops! 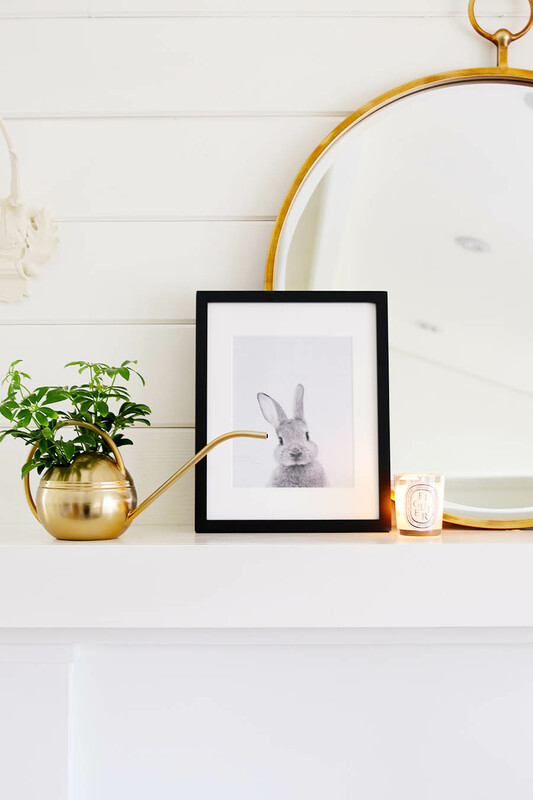 Not only do mirrors offer a simple way to fill space on your wall, but they are amazing light reflectors! Adding a mirror or two makes the room feel brighter and also bigger at the same time! I have rounded up some of my favorite mirrors below for you. Spring is all about refreshing your space. What better way than with a fresh coat of paint or a fun wallpaper? 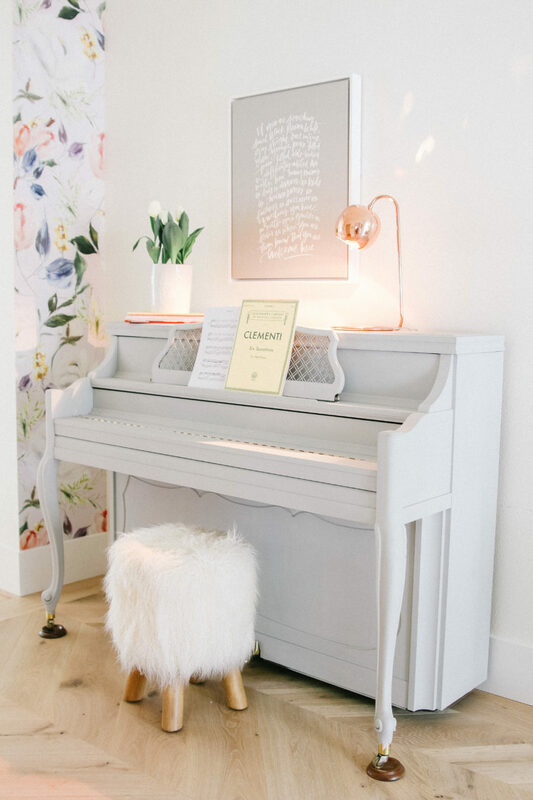 My favorite wallpaper is from B Darling Decor and is a removable wallpaper that’s easy to put up and there isn’t the same commitment as with traditional wallpaper. 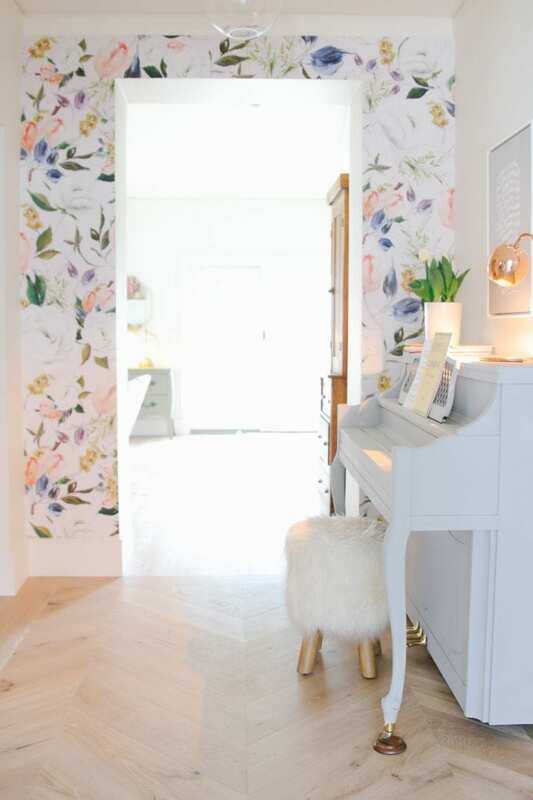 I recently added this fun floral wallpaper in my entryway and I love the statement that it makes! My husband and I installed this removable wallpaper in one afternoon and it took less than 30 minutes! I think I am going to do a wall in my daughters bedroom next, so stay tuned! Whether it’s wallpaper or an accent wall of fun paint, this can make a huge impact on your space! We recently painted all of our trim and baseboards with a fresh coat of white paint and that made our home feel fresh and new again. It may seem like a chore, but putting the time and work into making your house a home is definitely rewarding! 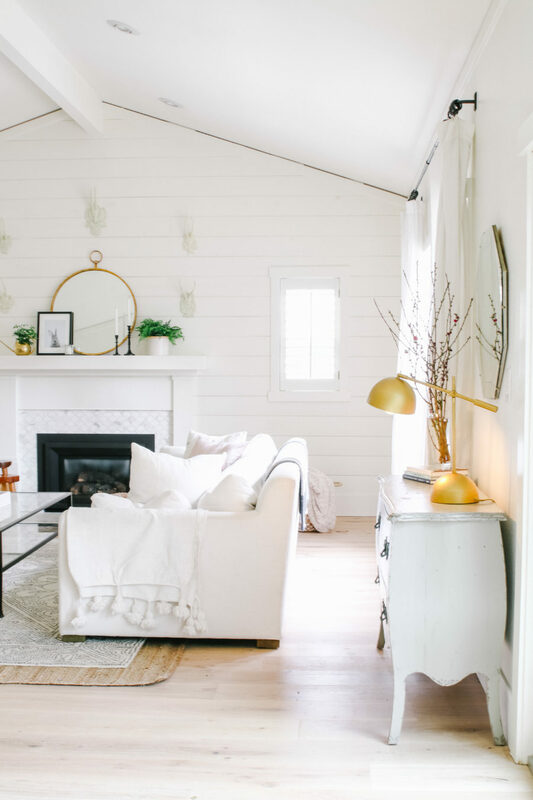 I hope these 5 simple spring decorating ideas have sparked some renewed energy into fixing up your own home and making it a joyful and welcome haven for your family! Now, to continue this inspirational tour head on over to Far Above Rubies for more spring decorating ideas! And be sure to check out all the talented bloggers that have shared their spring updates with us this week! 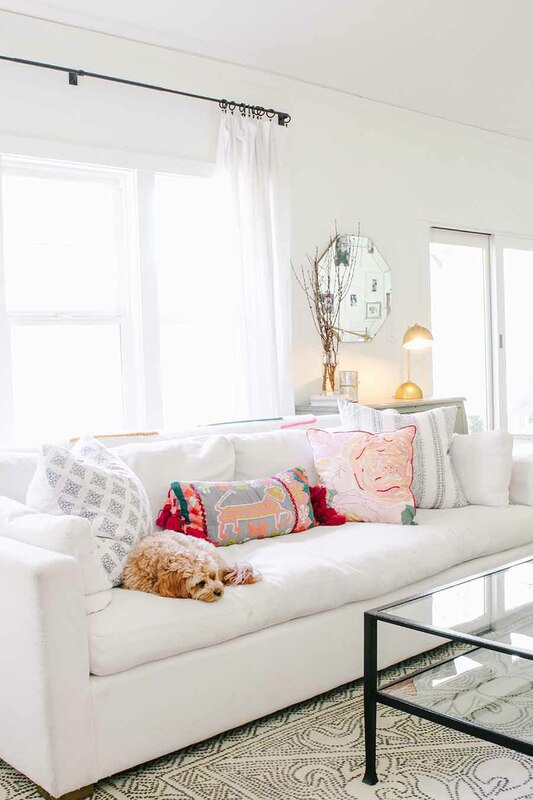 Such great tips and advice for decluttering and adding spring touches through the home. I love your pretty mantel in the living room. Adding just a couple of green plants added just the right touch of Spring. Your kitchen looks fabulous with your beautiful flowers. The shelves above your sing are also very striking with your well done vignettes. I especially love the wallpaper you added to the entry, what a fun and unexpected accent to that wall, love it. Thanks so much for all the great ideas and for joining the 2019 Spring Home Tour. Your home is so bright, fresh and . . . glam! I love all of your spring touches. I am a blogger located close by you in Sacramento, Fun being on Marty’s tour with you! Such a beautiful, light and bright tour! And your pup is the star of the post and clearly a very good helper. So fun to tour with you this week! 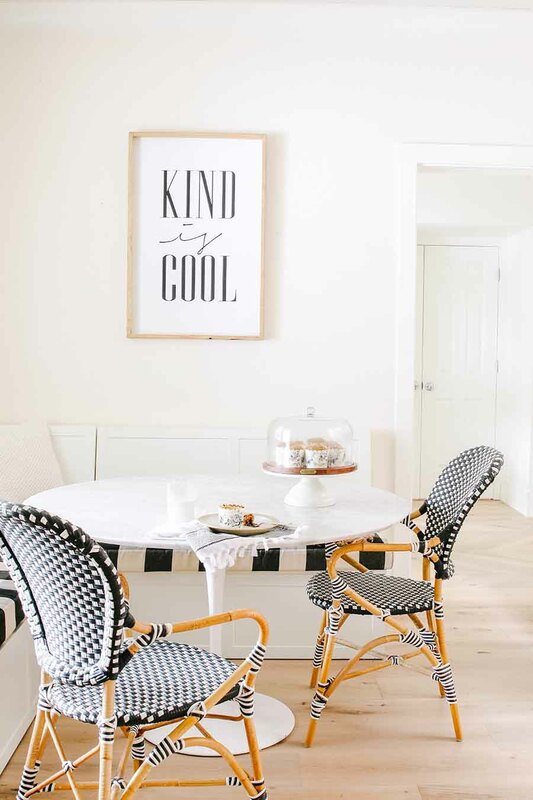 You have a gorgeous home styled for spring! Love the bright and beautiful photography and all your style tips. So happy to join your for the spring home tours. Happy spring! 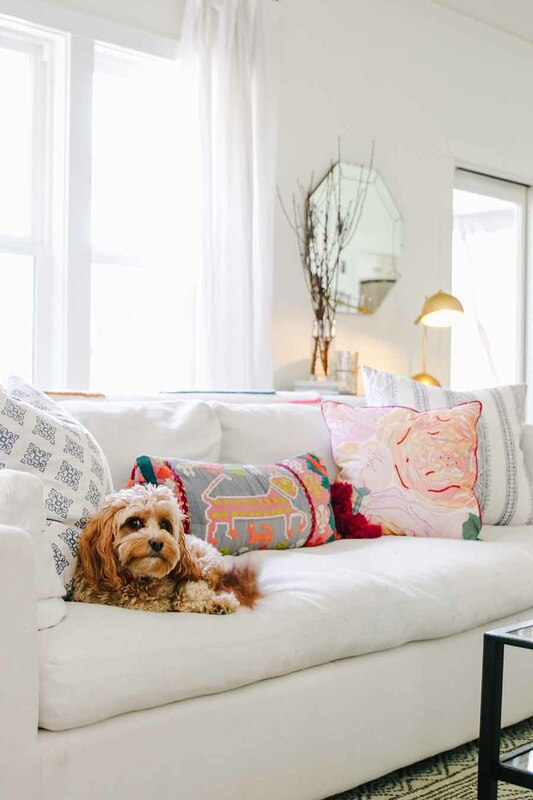 Ok, officially obsessed with your dog AND that amazing floral wallpaper. Perfection all around!